Learn Heavy Metal Guitar with 6 Great Masters DVD download free. 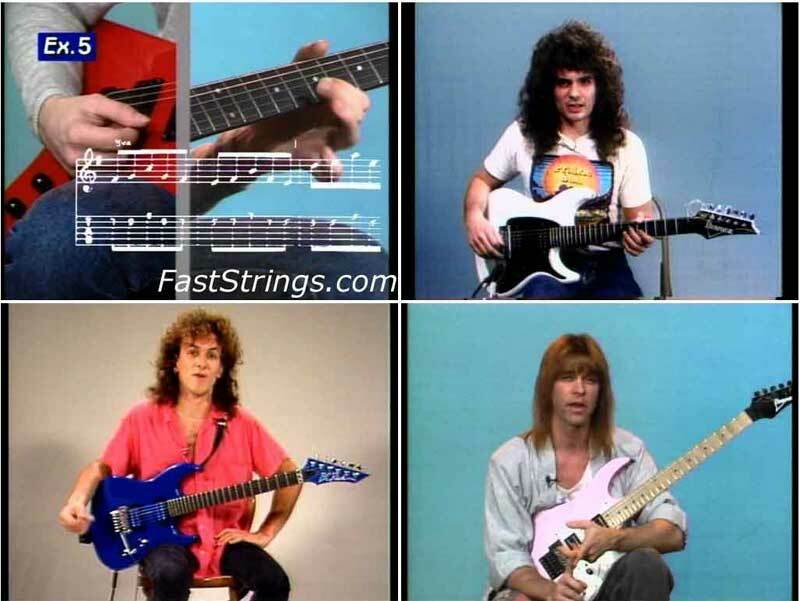 6 Heavy Metal Guitarists Take You Through The Basics of Playing Heavy Metal Guitar. Music editor for Guitar World, Guitar World Acoustic, and Bass Guitar magazines, Matt Scharfglass, provides a new introduction. He is also leader of the rock band Mrs. Grundy. A bassist and multi-instrumentalist, he has written over a dozen music books. Six essential guitar lessons from the masters of heavy metal guitar: Hot Licks Learn Heavy Metal Guitar with 6 Great Masters DVD Features: See the music and tablature on screen as it’s being played; All right- and left-hand techniques are shown in close-up and with helpful split-screen effects to make learning easy; Slow motion segments with standard pitch sound; Artist biographies; Suggested listening. Lesson 1: Marty Friedman helps you construct unique runs and develop your speed. Lesson 2: Vinnie Moore will discuss basic scales, theory and technique plus tips on practicing. Lesson 3: Vivian Cambell, the Def Leppard master, shows you exciting pull-off licks, muting and split harmonics. Lesson 4: Al Pitrelli teaches solid foundation work in the modes and arpeggios. Lesson 5: Michael Fath shows how to work on basic sweeping, triad stacking and arpeggios. Lesson 6: Michael Lee Firkins will discuss challenging sweeps, picking, arpeggios, and right-hand tapping. Le lien #2 s’interrompt tout le temps ! Come on!